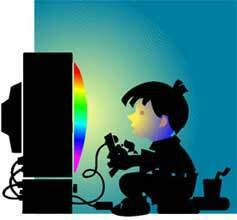 The Time Escalation Component: Where the gamer increases his gaming time as he becomes more engrossed in the game. Withdrawal Symptoms: Especially from games that employ the “carrot on a stick” philosophy (“just have to get to the next level…”). Gaming Culture: Checking out video game web sites through out the day. Reading the latest walkthrough and immersing oneself into the particular game’s community. The Social Sacrifice: Family, friends and loved ones fall to the wayside as the gamer becomes more immersed in the game. This, in my opinion, is when things become a problem. The gamer has lost any sort of balance between the digital and the real. Welcome to the world of escapism. Are video games and alcohol on the same level? Do we overuse the word addiction? Is this a matter of what society deems acceptable? Could you apply what was written above to your favorite hobby? I think that we certainly overuse the word addiction in our society. I also believe that, given the right circumstances, a person can become addicted to almost anything. However, these are very rare and extreme cases. For example, if I spent three weekends in a row playing nothing but Skyrim, declining to go out with my friends, neglecting to do my laundry, failing to do whatever else is necessary, I’m probably just really into a game and procrastinating. Eventually, the shiny new-ness will wear off and I’ll step back out into the light. However, someone who forsakes everything to play a game, may be an addict. Someone who skips out on work frequently, loses their job, declines in health, ignores their friends/family when they try to say something, or just plain ignores real life constantly in favour of the game is probably addicted in some manner. I agree, I think there is a difference between having a hobby and being addicted to something. If there is no difference, then anyone with a hobby or that has been consumed by the “evils” of sports needs serious help. Thanks for the comment and stopping by!